LLS Savannah Chapter Man and Woman of the Year and Nominees. The Savannah Office of The Leukemia & Lymphoma Society’s Georgia Chapter announced its Man & Woman of the Year Friday Night at their inaugural campaign’s Grand Finale Gala at The Morris Center. Eleven local Savannah community leaders — six men and five women — have been competing with each other for the last ten weeks to raise the most money for LLS. In its inaugural year, the event raised $202,180, more than doubling the original goal of $100,000. Talmadge (Tal) R. Johnson, CPA with Dabbs, Hickman, Hill and Cannon LLP, raised $24,205 and was named the 2013 Man of the Year. Emily Dickinson, Marketing and Human Resources Director for Wet Willie’s Management Corporation, raised $71,674 and was named the 2013 Woman of the Year. “We were pleased to recruit such an outstanding inaugural class of candidates for this campaign. While only two people are awarded the titles Man & Woman of the Year, we are extremely proud of all of our candidates. Due to their tremendous fundraising efforts we have raised critical funds to find a cure for blood cancers. 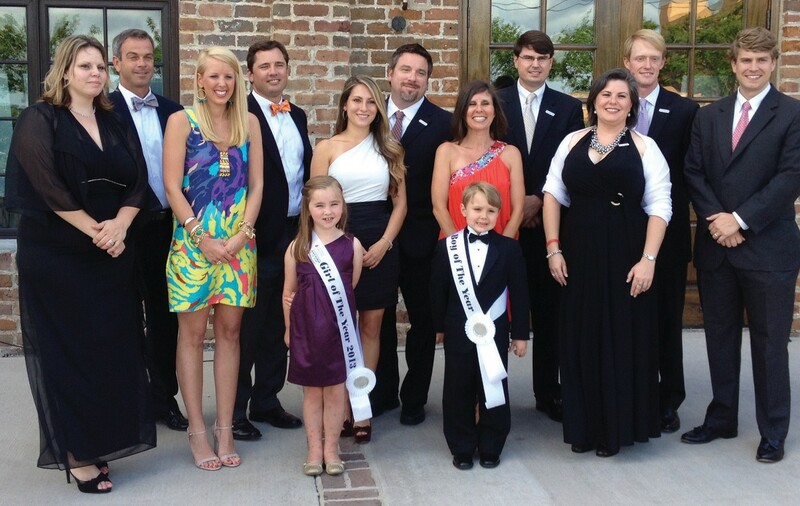 We couldn’t be happier with their results,” said Jean Doliber, manager of the Savannah Man & Woman of the Year Campaign. This year, Tal Johnson also won the Coastal Home Care Mission Integration Award; the award to the candidate that demonstrated exceptional mission integration into their campaign. Jamie Marie Smith was awarded the Community Involvement Award; the award to the candidate that facilitated exposure in the community and built a strong program and team. Every dollar the candidates raised counted as one “vote” and the candidates with the most votes were awarded the title Man & Woman of the Year. Woman of the Year Emily Dickinson and Man of the Year Tal Johnson will now be entered into the national competition for Man & Woman of the Year, which will be named in July. All the candidates competed in honor of LLS’s Boy & Girl of the Year, Cora and Sam, local children who are blood cancer survivors and sources of inspiration to others. The 2013 Man of the Year nominees were: Jason Anderson of Merrill Lynch Wealth Management; Rob Bowden of Bernard, Williams & Co.; Tom Carter of Blackstone International; Tal Johnson of Dabbs, Hickman Hill & Cannon; John Manly of Bouhan Falligant LLP and Jeff O’Connor of First Citizens Bank. The 2013 Woman of the Year nominees were: Hailey Blakley of The Jones Company/Flash Foods; Emily Dickinson of Wet Willie’s Management Corporation; Patricia Harris of Cambria Suites – Hp Hotels; Anne Shealy of J. & L. Glass Inc. and Jamie Marie Smith of Coastal Home Care, Inc. The 2013 Man & Woman of the Year campaign is generously supported by Savannah Magazine, Daly & Salter Photography, Savannah Candy Kitchen, Oracle, First Citizens Bank and Dabbs, Hickman, Hill and Cannon. To learn more about the campaign, go to www.mwoy.org/ ga.